Hawthorn Healing Arts Center is a team of providers offering a collaborative approach to holistic and integrative healthcare for the central Oregon community, located in the heart of downtown Bend. We believe that treatment plans that educate and inspire individuals to take care of themselves, and medicines that promote rejuvenation and vitality are the next step for an effective healthcare system.The collective approach of our group of providers integrates the knowledge-base of western conventional and functional medicine with the wisdom and heart of traditional and Eastern healing principles. Our team offers Naturopathic medicine, Acupuncture and Chinese medicine, Chiropractic Care, CranioSacral Therapy, Massage therapy and Rolfing, Counseling, Sound Healing therapies and Energy medicine. Dr. Carroll is committed to providing gentle, effective, and compassionate chiropractic care to her patients. By addressing both soft tissues and joint alignment, and giving specific instruction on home rehab exercises and lifestyle modifications Dr. Carroll works with her patients to get long lasting results. Dr. Brandi Kuhn grew up in Calgary, Alberta, Canada and attended pre-medicine at the University of Calgary. Personally receiving chiropractic care from the age of twelve with great benefit, natural health care had been a long time chosen career path. Western States Chiropractic College brought her to Oregon. 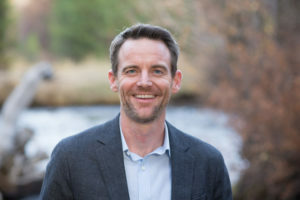 Following graduation in 1999 Dr. Brandi practiced in NE Portland and 2 years later decided the snow of central Oregon was calling..
We offer general Chiropratic care conveniently located in Northwest Crossing in Bend Oregon. Chiropractic care is used most often to treat neuromusculoskeletal complaints, including but not limited to back pain, neck pain, pain in the joints of the arms or legs, and headaches. True Spine Chiropractic is Bend’s source for NUCCA, a unique chiropractic technique backed by years of research and state-of-the-art technology. We provide gentle, effective and lasting upper cervical chiropractic care – without ‘cracking’ or forceful adjustments. Through a precise but incredibly gentle technique, we ensure your spine is straight and balanced, and your head is centered over your neck. This can alleviate stress, pain, and discomfort, allowing the body to heal and function properly. Some of the most common conditions we see patients for are headaches, migraines, neck disorders, low back disorders, post-concussion syndrome, facial pain, TMJ, neurological conditions, vertigo, and balance issues . Many patients who have tried a number of medical and alternative approaches without success find that NUCCA care provides the relief they have been seeking. Want to know if NUCCA care can help you? Give Dr. Kevin Hallmeyer, D.C. a call today, or stop by our office – consultations are always free. Grand Opening Special: Book in January and save 25% off your initial exam, x-rays and first adjustment.